This program started with the school year 2012-2013. That year, we sent 16 children to school. Most of these children were in one school, but we had one attending a different institution. Her situation was a way for us to measure the impact we would have in a more urban school district. The choice for this particular student was dictated by the fact that, although she lives in a bigger town, she still has quite the same problems or her family faces problems similar to those faced by the families we are working with in the rural area where we first begun working. We sent 16 to school for the 2012-2013 school year. You sponsored them! 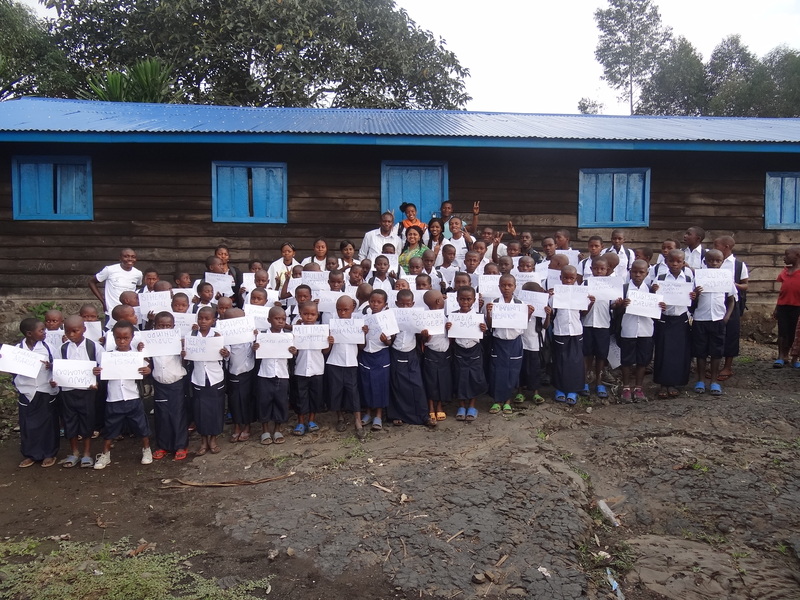 At the end of the year, we have been really happy for the grades of all the 15 children who all passed their classes. Unfortunately, the girl studying in the city was the one whose results were not good. After analyzing her case—she had had a hard time adjusting to her new school—with her sponsor, the latter decided to give her a second chance to succeed. Since then, the rule has been that if a student failed their class, we would consult the sponsor to find out whether or not they would be willing to continue sponsoring the student another year. Back to school 2013-2014, the family has grown bigger. The second year of the education program is the 2013-2014 school year that started in September 2013. Our goal to double the number of children supported through Rudi Education was met thanks to our partners and all the sponsors who took on new children for the first time or in addition to the children they had been sponsoring since the first year. We, at Rudi, are very thankful to God for all of our partners in this vision for a better Africa. 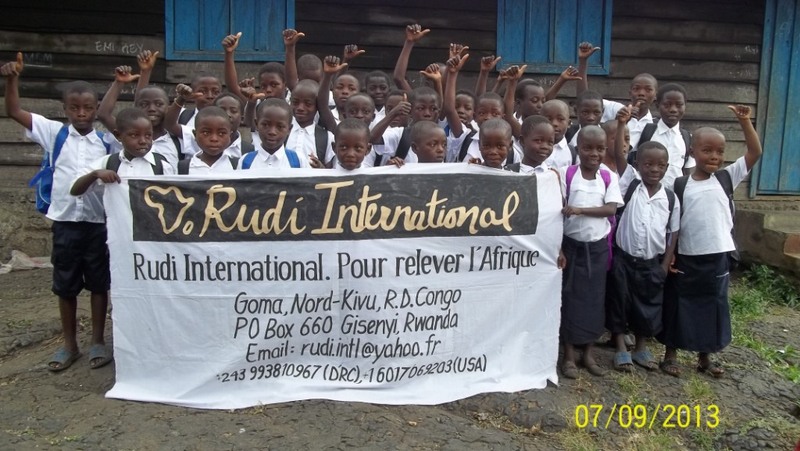 Rudi Education children and volunteers ready for Year 3 of the program. The family grew to 70! Thanks to the support of so many of you, we sponsored 70 young students who ended the year with great success. Thank you so much. We were joined this year by supporters from America, Europe, and Africa both individuals and organizations. It is with great hope and expectation that we enter this fourth year of Rudi Education. We have seen some very difficult years. e.g. during the second year of the program, we almost lost everyone to another outburst of war in the Eastern Region of the Democratic Republic of Congo. For two weeks, a group rebels took over the city of Goma where our headquarters are located. Schools were closed and no-one knew where any of our students were. But, praise God, when things got back in order we were able to regain contacts with our volunteers and slowly with the school authorities to finally be reassured of the safety of our children. We are very grateful to each and everyone of you who prayed, sent relief, and encouragement during that period. Moreover, one of the children in the program has lost both of her parents one year after another. This year comes with renewed hope for a brighter future for this child because even as she had to move back to her village of origin and be with relatives, we were able to get in touch with these relatives who let us continue to send this child to a school in her new community. She is young and therefore all of her future is before her regardless of how difficult it is right now. Many thanks to God who provides for her through our sponsors according to Psalm 68:5. We are only at the beginning of the 4th year. Praying and trusting God to provide and protect… to be continued. You too can be part of this great project that helps design a better future for the children of DRC. Please contact us to find us how you can get involved. Apart from paying their school fees, the kids benefit from a series of after school activities that broaden their perspective on life beyond the classroom. 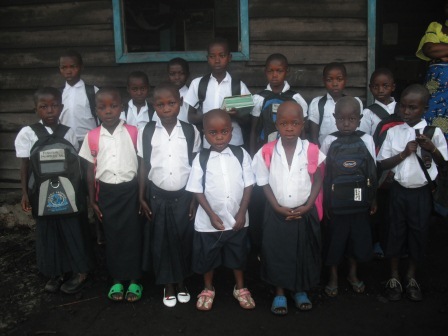 For the 2015-2016 school year, with USD150 you can send one of the children to school for one year with tuition, school supplies, and uniform paid for. Will you consider donating here today?